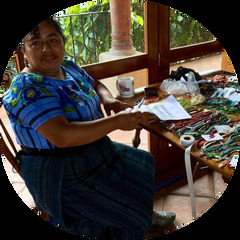 12 strands of beautiful glass beads adorn this 8 inch handmade bracelet from Guatemala. Wear it loose or twist it to for a different look. Bead and loop closure.